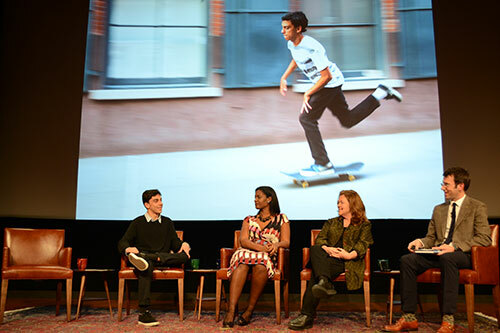 In 2013, a 15-year-old Booker went to Washington D.C. to join other Travelers of The Year for the National Geographic Live Speaker Series. This was one of Booker’s best trips ever, and an evening he will never forget. So, when we found out that the series was coming to our home NYC, of course there was a reason to let everyone know about it. The series kicked off on February 4, and continues in March, April, and May with powerful and inspiring events that include guests such as photographers Carsten Peter and Jodi Cobb and NASA scientist Kobie Boykins. To get more details on the full series visit their website or click here to view the series brochure. All events will be happening at NYU’s Skirball Center for the Performing Arts.